What is the Summer Mela? 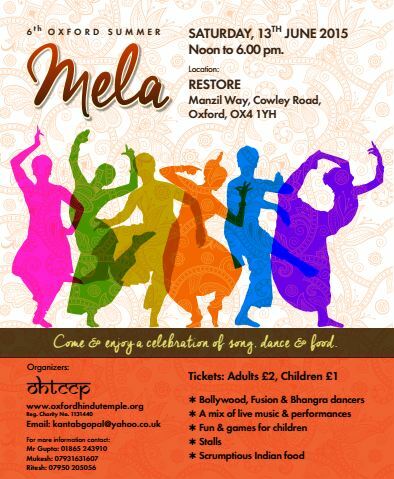 The Oxford Mela is an annual outdoors family & community fun event: a colourful festival of global culture, music, food & diversity. It comprises a varied multicultural program of entertainment, loads of yummy home cooked Indian food & a fun filled afternoon and family activities. Oxford City Council Oxford City Council, the High Sheriff’s grant, the Doris Foundation, Restore & St Michael’s Church Centre are actively supporting & sponsoring The Oxford Summer Mela which was originally created in 2010 by the registered charity Oxford Hindu Temple & Community Centre Project to raise awareness of Hindu religion and culture in the City and County. 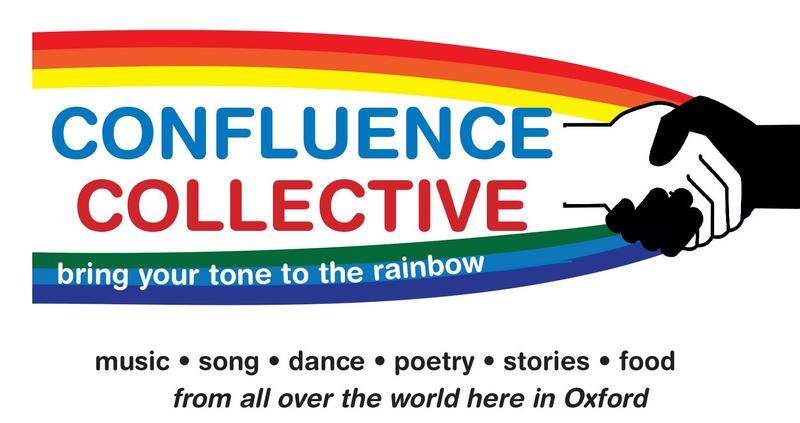 Given the principles of inclusion and multiculturalism that underpin Confluence Collective we are proud to be part of the 6th Oxford Summer Mela.